With this phrase, her Royal Highness the serene Princess Grace of Monaco describes the meaning of the word formed by the letters of Assoication Mondiale des Amis de l’Enfance (World Association of Children’s Friends), known as AMADE, a non-governmental organization with consultative status with UNICEF, UNESCO, The Council of Europe, and the Economic and Social Advice (ECOSOC). 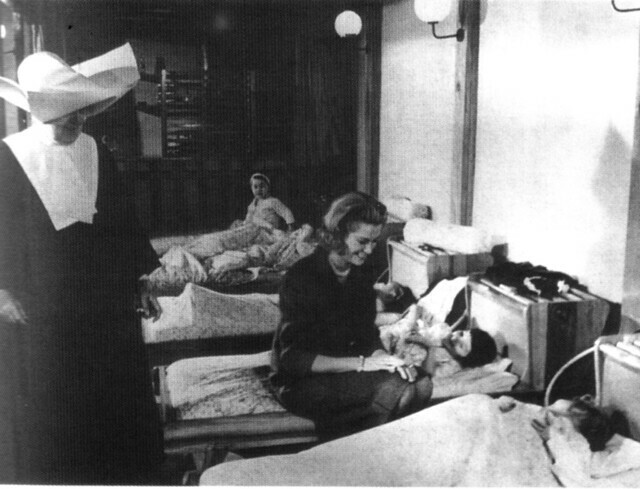 AMADE was founded in Monaco in 1963, thanks to the dream of a princess and a Monegasque nun, who, concerned about the fate of children displaced by the War of the Vietnam, sought to defend their rights. They wanted to protect them at work and from the consequences of divorce, to preserve the rights those unborn, and to fight against violence on television, incitement to drug use, juvenile prostitution tourism, and genetic manipulation. Little by little, associations arose around the world, promoting the necessary presence and the structure to face the specific problems of each country. Today, the organization is comprised of 23 countries: Argentina, Belgium, Popular Republic of Benin, Dominican Republic, Bosnia Herzegovina, Burkina Faso, Burundi, Cyprus, The Congo, Spain, the Philippines, France, Greece, Guinea, Italy, Madagascar, Nigeria, Poland, Portugal Begun of Monaco, Senegal, Togo. These are considered autonomous associations with their own bylaws tied to those of World AMADE through an agreement for a common policy in favor of children, which is based upon its general mission. At this time, I was at our Embassy in Rome. I received a visit from the Ambassador of Monaco, who requested me to preside over and to establish AMADE Spain. As it was impossible at the moment, I promised that I would be interested in finding a group of people who could take care of this matter. After some time, I had not yet succeeded in introducing a new association because in Spain, there were already many prestigious organizations dealing with these issues. When I returned to Madrid, the Archduke Otto de Hasburgo – at that time President of the World AMADE, and great friend of ours – asked my husband that I take care of creating AMADE Spain. I looked for a group of women dedicated to childhood, and I organized a meeting at my home. In attendance were the Duchess of Alba, The Duchess of Bailén, Carmen Herrero de Garralda (President of The New Future), Countess Morata of Surveyor's pole (President of Alpe), Carmen Cavestany Pardo Varcárcel (Foundation ´´Niños del Remedio´´ - Children of the Remedy-), Socorro Aliño de Lopez Ibor, Giuliana Arioli de Calvo Sotelo, M ª Teresa Spinola de Barreiros, and Josefina Talavera of I Do. 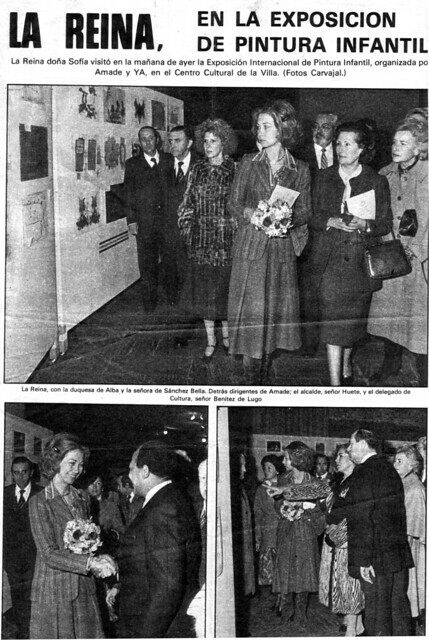 In this first meeting, we named as president the Duchess of Alba, who would occupy the post until the year 1985. Exactly thirty years ago, AMADE Spain signed its protocol of agreement with AMADE World, registering the Association in Spain. The Duchess of Alba and I visited Her Royal Highness the Princess Sofia, requesting her to preside over our association. Since then, she has followed all our activities and exhibitions, and served as President of Honor. One of the first contacts of AMADE Spain with the art world was helping Salvador Dalí complete the works for the museum that would bear his name. The delay in completing these works led Dalí to seek my intervention. He came to Madrid to see me with the Mayor of Figueres, where we were exhibiting the jewels owned by the Owen Cheatham Foundation charity for whom the purpose of the collection lay in the work of their own jewelry in favor of humanity. We had request the transfer of the exhibition to Figueres after ending our show at the National Library in Madrid. We received permission from the Foundation, and the collection, months later, would be exhibited at the Museum (Ancient Municipal Museum). Proceeds from the opening ceremony was dedicated in part to help a children's hospital in that province. The opening was a real success and we got the owners of the collection to attend.